Cackle's Academy uniform from The Worst Witch. 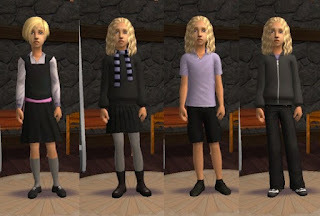 The regular uniform (first one) is a seprate top and bottom, the others are full outfits. 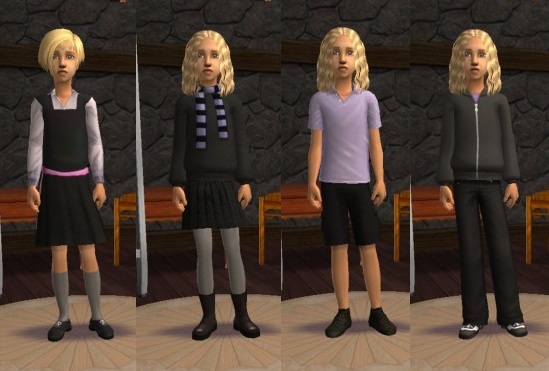 Top and Skirt are Everyday, winter uniform is Outerwear, and sports kit and and tracksuit are Athletic.